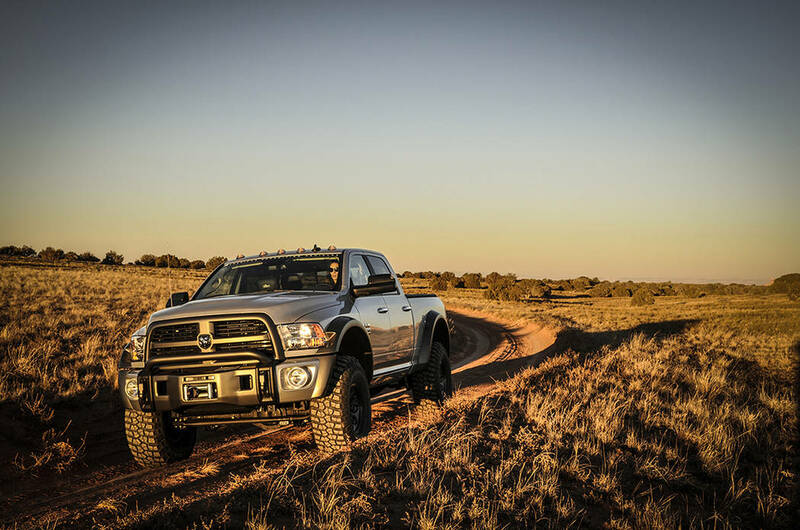 American Expedition Vehicles is an expert on improving tough and rugged off-road vehicles, and Chapman Dodge Chrysler Jeep is featuring an upgraded version of its Ram 2500. The enhanced 2018 Ram 2500 AEV Big Horn enhances the full-size truck’s style and off-road capabilities. Chapman Automotive Adventure awaits with the 2018 Ram 2500 AEV Big Horn at Chapman Dodge. With a 6.7-liter Cummins Diesel Turbo I6 engine, an impressive 350 horsepower and all the AEV Prospector equipment upgrades, you can go places you’ve never imagined. The four-wheel drive crew cab features a dual-sport suspension system, which generates high ground clearance, improves driver comfort and vehicle handling and accommodates larger all-season tires, optimizing the suspension and steering. Built with superior front-end protection, the 4mm-thick stamped-steel face of the AEV Prospector’s front bumper provides an advanced level of fortification while also offering a 16,500-pound winch to assist with vehicle recovery. The AEV Ram features vehicle packages and accessories, such as the Luxury Group package which features a glove box lamp; auto-dimming heated, power folding and adjustable exterior mirrors with supplemental signals; courtesy lamps; and an overhead console with universal garage door opener. Another popular package incorporates features made for winter, with an engine block heater and winter front grille cover, heated front seats and a heated leather steering wheel with audio controls. Some stellar interior features include standard under-seat storage space and rear in-floor storage bins and cloth upholstery with an embroidered AEV logo. Entertainment features include a UConnect Navigation system with an 8.4-inch touch screen display and a full-color 7-inch cluster display designed to relay information to the driver regarding Ram’s performance.